Nov. 29, 2015: Thomas L. McCurdy, 32, Melvern, Shawnee County warrant for failure to appear, released to Shawnee County, OSSO. 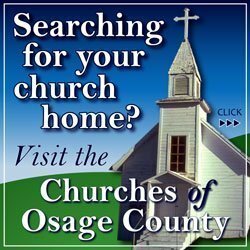 Dec. 1, 2015: Riley D. Ogle, 21, Osage City, Osage County warrant for failure to appear, $5,000 surety bond, OSSO; Kaleb C. Roberts, 20, Carbondale, court ordered process for minor in consumption, released per court, OSSO. Dec. 2, 2015: Steven G. Weeks, 29, Emporia, 29, possession of stimulant, possession drug paraphernalia, $2,500 own recognizance bond, CPD; Jessica G. Allen, 30, Emporia, possession of stimulant, possession or use of paraphernalia, $2,500 own recognizance bond, CPD; Timothy W. Cambron, 32, Burlingame, city of Burlingame warrant for failure to appear, $525 surety bond, BPD. Dec. 3, 2015: Richard T. Sieliet Jr., 29, Ottawa, driving while suspended, $500 surety bond, BPD. 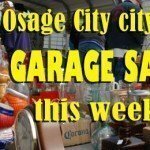 Dec. 4, 2015: Albert S. Bond, 55, Melvern, Osage County warrant for failure to appear, $40 own recognizance bond, OSSO; Bradley A. Hague, 29, Lawrence, Osage County warrant for failure to appear, $1,500 surety bond, OSSO; William E. Worthy Jr., 22, Ottawa, Osage County warrant for failure to appear, OSSO; Jacob R. Ethridge, 25, Scranton, city of Overbrook warrant for failure to appear, SPD. 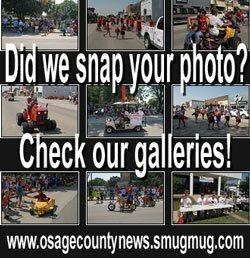 Dec. 5, 2015: David S. Driver, 39, Burlingame, driving under the influence, $1,000 own recognizance bond, OSSO; Paeden S. Harley, 23, Pomona, Osage County warrant for failure to appear, OSSO.